There are so many different places to look for homes, to look for Idaho Falls real estate agents, Shelley Idaho agents, for real estate Idaho Falls, houses for rent in Idaho Falls. Some of these players are realtor com Idaho, zillow, and just googling the person, or brokerage’s name. Another is the Snake River MLS. This stands for the Multiple Listing Services. This is a place where an agent and a house are labeled with a specific number, which will give you access to the needs and wants of that house, or that agent. This will give you their phone number, their address, email address and which brokerage (if they are with one) they are with. The brokerage itself will also have an MLS number attached to it for all these pieces of information, as well. A little history on the Multiple Listing Services shows us that today, it’s a very easy tool to use, as it is right there at your fingertips on the internet. In the late 1800’s, however, when the idea of a microchip hadn’t even been thought of, there were no ways, through internet or computers to exchange info about property for sale or the prices that were being asked about, for these properties. If people in the next county over, or even next state, at those times, wanted to know about the information available, they would have to travel to the listing. To facilitate this exchange of information about property, the first “realtors” established exchanges. Each broker would then keep a physical book of the properties they had available at that time. On a regular schedule, these brokers would meet with each other brokers within the same territories to exchange the schedules and items they had. These continuously grew and became regional in nature. The Local Board of Realtors was shortly thereafter established so they could bring these services to a regional and widespread across the United States. These same boards do exist today, but they don’t meet anymore, as they did at that time to discuss listings, buys, etc on the books. Today, each regional MLS is managed by a computer system, tablet, or mobile devices. If you are looking for data on the Snake River MLS, you can find that by googling it in nature. 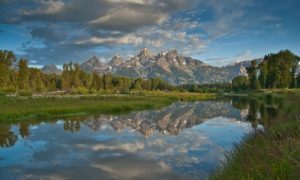 As being a part of the Snake River MLS, there are brokers and agents who participate in the MLS are required to uphold professional standards of conduct when using this to list their properties, homes and land. They will make sure to keep conduct with their customers and clientele, as well. The Snake River MLS is all of these exact pieces of real estate usage, but for this region. It’s a computer database that will store all homes for sale, land for sale, commercial properties for sale, and multi-family residential properties for sale in the Snake River area of Southeast Idaho. The same rules that they had back in the day, when the National Association of Realtors would meet together, still apply to this day. They are rules that have been governed so the realtors walk a correct line. This is why customers and clientele need a great place to stay connected with search tools, to find the appropriate listings in the Snake River valley. Each property in here, as stated before, has an MLS number attached to them. As you search using these numbers it will help you find the property, home, or land piece of your choice in a very easy, and simple, manner. As you go forward looking for some homes to purchase, to see what is on the rise on the market, land that is ready to be looked at, look no further than the Group Real Estate. 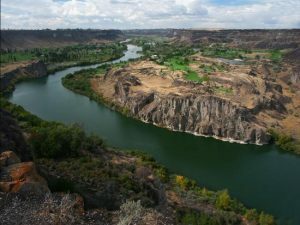 This is specifically the place we will help direct you to, in the Snake River MLS.